After the death of Emperor Quang Trung in 1792, his son Canh Thinh Quang Toan stepped up to succeed his throne. He was a smart kid who reflected the qualities of his late father. The problem however, is that the boy was only ten years old, not yet ready to run an entire country. For this reason, the Tây Sơn Dynasty was unable to sustain itself. Without the guidance of a strong leader, the dynasty become highly vulnerable. The defeated Nguyễn lords, who took refuge in the south, recognized the sudden weakness of the Tây Sơn Dynasty and saw the chance to strike back. During the rise and reign of Emperor Nguyễn Huệ Quang Trung, the Nguyễn lords have been continuously obliterated by his Tây Sơn Army. Now that he was gone, the opportunity came for another attempt by the Nguyễn faction to seize power. After more than a decade of living in hiding, the Nguyễn faction were ready to come out and fight. 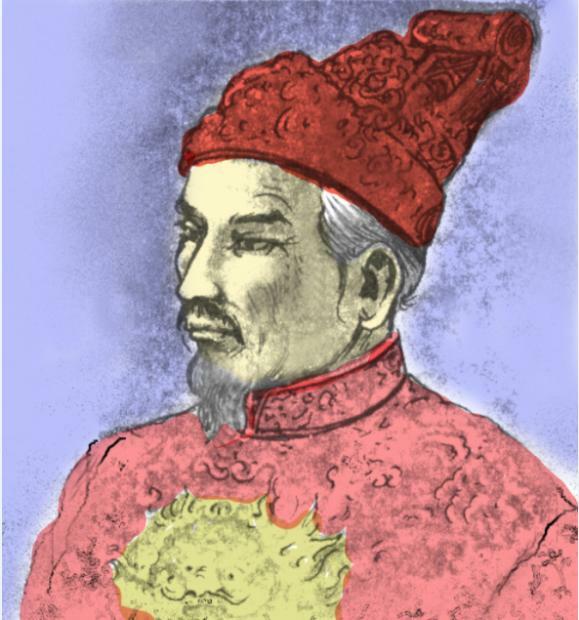 Under the leadership of Nguyễn Ánh, the last royal survivor of the vanquished family, the Nguyễn ignited another war against the politically fragmented Tây Sơn Dynasty. Sadly, the Tây Sơn would lose this time. With the help of the French colonists, Nguyễn Ánh defeated Canh Thinh, the teenage son of the late emperor Nguyễn Huệ Quang Trung, and consolidated his power in 1802. He then took the name of Emperor Gia Long and proclaimed the establishment of the Nguyễn Dynasty. After his inauguration, Gia Long would undo all of the progress that Nguyen Hue had made in the previous decade. As the new ruler, Gia Long repealed the new education system created by Quang Trung, putting back the centuries-old Confucianist examination system of the Chinese. In the economic realm, Gia Long would cut off the ties that Nguyễn Huệ had established with the west, turning inward and looking to China for primary support. When Nguyễn Huệ Quang Trung was still alive, the Qing Dynasty did not dare to invade Vietnam. The Tây Sơn Emperor wielded the confidence and power to sway the Chinese. Not only did Quang Trung not pay tribute to the Qing Empire, he even convinced them to cede the provinces of Guangdong and Guangxi to Vietnam. Gia Long Nguyễn Ánh did not have these capabilities. Under Gia Long’s Nguyen Dynasty, Vietnam became a tributary state to China and did not receive the provinces that were promised to Nguyễn Huệ. Gia Long’s reactionary ways shifted the Vietnamese nation in another direction, away from the path of modernization led by the Tây Sơn Dynasty. From Quang Trung, the Nguyễn Dynasty inherited an aspiring state with an improved economy, a powerful army, and a developing navy. The foundation was there, Vietnam was rising. Unfortunately, Emperor Gia Long could not utilize the resources of his great predecessor and lacked the intelligence and mental capacity to capitalize on the numerous opportunities presented to him. Instead of using the myriad of talented people under Quang Trung’s administration, Gia Long decided to take revenge on them. As an act of vengeance for his numerous humiliations at the hands of Nguyễn Huệ and the Tây Sơn army, Gia Long purged all of Quang Trung’s men and erased all the progress that the Tây Sơn Dynasty had done in the past 12 years. After revoking the reforms, the Nguyễn Emperor re-instituted the Confucian governmental model and mimicked the Chinese form of government, piece by piece. The “Nguyễn Code,” which are the laws of the nation, were copied almost directly from the “Qing Code” of China. When fortresses and temples were built in Vietnam, they were modeled after the Chinese buildings as well. In Quang Trung’s time, western ideas were respected and debated, but under Gia Long, they were dismissed and casted aside, replaced by teachings obsolete for centuries. Gia Long modeled everything after the Qing Dynasty, turning Vietnam into a mere copy of the Chinese Kingdom. Through countless uninspired and slave-like policies, Emperor Gia Long Nguyễn Ánh had miraculously stunted the rise of the Vietnamese Empire and became a tributary state to the Kingdom of Qing. Because of these actions, the Vietnamese nation would remain stagnant for the next hundred years, falling prey to the imperialism of the western colonists. Gia Long’s predecessor, Nguyễn Huệ Quang Trung, had a great vision. He wanted a strong navy, backed up by a powerful army, to deter and withstand the influence of the west. At the same time, Quang Trung wanted his people to learn from the west, using their modern ideas to move the country forward. Gia Long did not have this vision, or even a plan, to make the country powerful. All he had in mind was the power of the crown, and the approval the Chinese Empire. The backward thinking of Gia Long and his successors would become detrimental to the nation of Vietnam, opening the doors for western exploitation and the conquest of the French. For more than half of the Nguyễn Dynasty’s reign, from 1859 all the way to 1945, the country was colonized and ruled by the invaders from France. It was only until the end of World War II that the country became temporarily free, and finally 1954 when the Viet Minh defeated the French, once and for all, at the Battle of Dien Binh Phu. The “Bình Ngô Đại Cáo” is a famous poem composed by the brilliant strategist Nguyễn Trãi in 1428. It is a very inspirational piece of writing and an important piece of Vietnamese history. I have been trying to find a complete English translation, but with little luck. However, I can find it in Vietnamese, which isn’t very helpful for what I am trying to do here. I originally wanted to find the English version of the “Bình Ngô Đại Cáo” and share it with you readers. Sadly, it is nowhere to be found. For that reason, I’ve decided to translate the poem myself, using the version provided in the history book Việt Nam Sử Lược by Trần Trọng Kim, a respected Vietnamese historian. It just so happens that I have a copy of that book lying around. Expect a full, accurate, and concise translation of Nguyễn Trãi’s “Bình Ngô Đại Cáo” sometime in the near future. I well reference my sources and make it as academic as possible. It will be correct, it will be inspirational, and it will be worth the read. Oops! General Giap is Still Alive, Turns 100 Today! Five months ago, I wrote an article to commerate the life of General Vo Nguyen Giap, one of the original members of the Vietnamese Communist Party. Recently however, I discovered that he is very much alive, and that he is turning 100 years old today! General Giap is one of the few members of the Communist Party that I have a lot of respect for. He was a patriot, joining Ho Chi Minh for the sake of Vietnam and not for the sake of Communism. As the more enlightened member of the Communist Party, he advocated normalizing relations with the U.S. after the war, as well as utilizing the talented manpower of South Vietnam. Sadly, he was politically out-maneuvered by Le Duan and marginalized to the Department of Womens’ Health. Even so, General Giap stays resilient, voicing his disapproval for the crimes of Nong Duc Manh and Nguyen Tan Dung, the current rulers of Vietnam today. For someone who has lived for so long, it is amazing to me how he can still think so clearly. 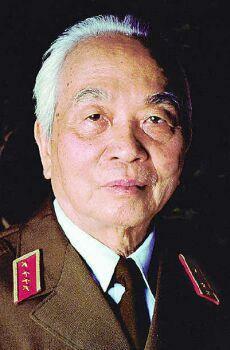 I simply feel the need to correct my own mistake and clarify that Vo Nguyen Giap is still alive. I also want to wish General Giap a happy 100th birthday, he deserves it. 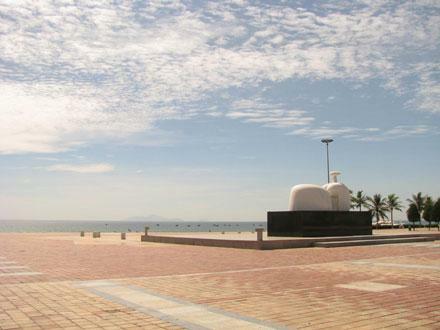 Last week, the Vietnamese government has decided to name two districts in the city of Danang after the Paracel and Spratly Islands. In the coastline of Danang, where the country’s most beautiful beaches reside, the names Hoàng Sa (Paracel) and Trường Sa (Spratly) are given to the main streets. It has been so long since Hanoi responded to the pressure that Beijing exerted on these islands. Finally, with recent events progressing in Vietnam, the government in Hanoi is ready to reclaim sovereignty over these islands. This is more than just a judicial matter, it is a signal to China that their aggression in the Southeast Asia will not be tolerated for much longer. Since the Chinese government has been trying to take these islands for so long, the news that Hanoi has decided to celebrate these islands and name two major districts after them must come as quite a shock. The fact that these districts are named after the disputed islands clearly signals that silence is no longer an option, Vietnam is finally ready to take on China in defense of these islands. This is another tough stance that the Vietnamese Communist Party has recently taken, showing signs of strength. Who is responsible for these actions is still unknown. Hopefully the Vietnamese Communists don’t go back on their word. The recent actions have shown positive signs for the nation of Vietnam, it would be very disillusioning if it were all for nothing. 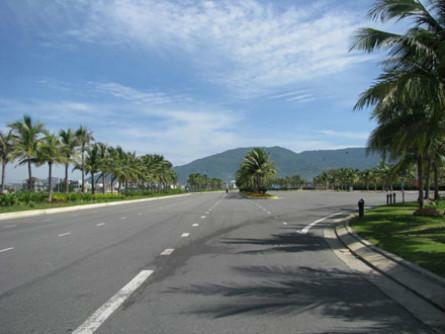 The streets in Danang City, Vietnam, will be named Hoàng Sa and Trường Sa, after the Paracel and Spratly Islands. Hoàng Sa Road will be facing the Eastern Sea of Vietnam, better known as the South China Sea, and now often known as the Southeast Asia Sea. 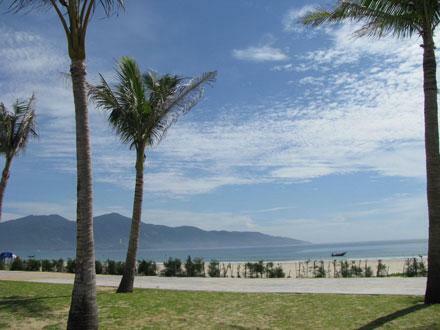 The strip running along the most beautiful beaches of Vietnam will be called Trường Sa Road. A Liberal Faction in the Vietnamese Communist Party? First off, let me just say that this is my own personal speculation and has not yet been confirmed by enough substantial evidence. That being said, when looking at how things have been going in Vietnam lately, is it too idealistic of me to suggest that there is a newly emerging, more progressive, faction in the Communist Party of Vietnam? Six months ago, the actions of the Vietnamese Communist Party can be summed up in three words: tyrannical, corrupted, and cowardly. In only a few short months however, the policy of the VCP has shifted from a backward, repressive, and pro-Chinese submission to a more progressive, western-friendly cooperation. Before, the Vietnamese government was content on letting China kill Vietnamese fishermen, civilians and innocent workers in the South China Sea/Southeast Asia Sea, as well as permit them to capture what’s left of the Spratly Islands. 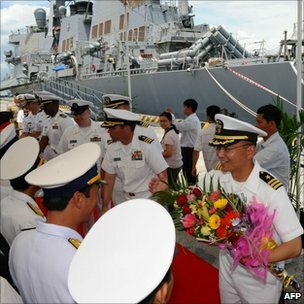 Lately however, Vietnam seems more willing to challenge China’s harassment in the Southeast Asia Sea, even engaging in naval exercises with the U.S. military in the eastern waters. These actions, among several others, paint a much brighter picture for the future of Vietnam today. Has the wind finally shifted within the ruling Communist Party? Potentially. Is it possible that Nong Duc Manh and/or Nguyen Tan Dung have decided to change their policies? Doubtful. These men have been hanging on to China’s every word since the beginning of their respective terms. They are corrupted, weak, and have been instigated by the CCP to harass their own people and give up land to the northern country. If a change were to come, I highly doubt that it would come from them. Another, more sensible, possibility is that other members of the Communist Party have become fed up with these cowardly ways and decided to unite for the good of the country. Maybe they are tired of the numerous betrayals committed by the lapdogs at the top and are now ready to exert their influence on the party. Befriending the U.S, building up the military, and re-declaring sovereignty over the Paracel and Spratly islands, if it were three months ago, these actions would be deemed unachievable by many, including myself. However, they are happening now, and one can’t help but wonder who from behind the scenes are making these moves. Regardless, it is a step in the positive direction and hopefully things will keep improving. In no way have I shifted my full support to the Communist Party of Vietnam, but if they were doing something positive for the nation, shouldn’t we give them a little credit? What I will do here, is point out their recent positive actions and acknowledge those responsible for it. That being said, I wouldn’t get my hopes up. It is truthful that positive events have taken place in the past few weeks, but it is always important to stay vigilant and be realistic. Good things can leave just as easily as they come, so for this reason, we should always keep them in perspective. The country is still under the rule of a Communist regime and only time will tell whether they will continue to change for the better. Still, I’m an idealistic person, so I will always hope for the best. When the Ming Dynasty invaded Vietnam in 1408, two formidable leaders rose to liberate the country and chase them back to China. 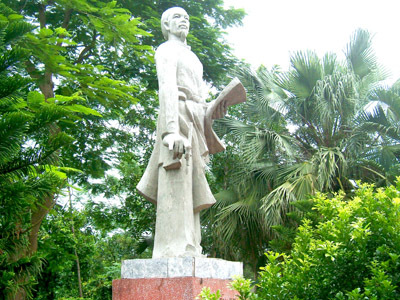 The first leader was a military expert and excellent warrior by the name of Lê Lợi, the second was a poet, intellectual, and political genius by the name of Nguyễn Trãi. Together, Lê Lợi and Nguyễn Trãi mobilized the Vietnamese people and obliterated the Ming occupants, establishing the Lê Dynasty. The two leaders achieved this objective by uniting the people of Vietnam, rallying everyone for the good of the nation. This was not, by any means, an easy task to accomplish. It took enormous efforts, blood, sweat, and tears to make the people believe. One of the pivotal pieces of writing that incited the patriotism inside the hearts of the Vietnamese people was the “Bình Ngô Đại Cáo”, a poem/political essay written by Nguyễn Trãi in 1428. In his delicately written essay, Nguyễn Trãi outlined the reasons why Vietnam will prevail in face of foreign aggression, raising the spirits of the Vietnamese people, and ultimately leading them to victory. Using the heroes of the past, Nguyễn Trãi showed the resilience of the Vietnamese people and their refusal to give up. In a bold statement, he clarified that Vietnam has been independent of China since antiquity, and that Vietnam will continue to be free from China. Not only that, Nguyễn Trãi also made clear that both countries stood on equal ground, regardless of strengths and weaknesses. The poem’s title, “Bình Ngô Đại Cáo,” is somewhat difficult to translate into english, since each character has it’s own significant meaning. In Vietnamese, “Bình” means “Peace,” “Ngô” means “Idiots,” “Đại” means “Great,” and “Cáo” means “to inform or proclaim.” If we put this together, the essay can be called “Great Proclamation For Peace From the Idiots.” However, this is just a rough translation, since the context of these words have to be taken into consideration. In the Vietnamese language, four simple words can be used to convey a powerful, complicated message. Nguyễn Trãi used these four simple characters as the title of his poetic declaration. The word “Ngô,” in this context, has more meaning than just “idiots,” it can be perceived as “troublemaker,” “disruptor,” or most fitting of all, “the invader.” Taking this into consideration, “Bình Ngô Đại Cáo” can translate into “The Great Declaration to Achieve Peace and Defeat the Invaders.” Even so, this is still not the precise meaning of the poem. In Vietnamese, the words “Bình Ngô Đại Cáo” makes perfect sense, but in English… well that’s a whole different story. If I were to go deeper into this particular subject, it would take very long, much too long for a quick read. All I want to do, for now, is bring to light the significance of this beautiful poetic achievement and the role it played in conclusively vanquishing the Ming invaders. The name “Bình Ngô Đại Cáo” can be interpreted in many different ways, as I have just demonstrated. Believe it or not, I was only scratching the surface. Of the many translations, I’ve decided, for now, to go with the “Great Declaration on the Victory Over China.” Though it doesn’t 100% reflect the meaning of its Vietnamese counterpart, “Bình Ngô Đại Cáo,” it covers the basic aim of the original, to signify the defeat of the invaders and bring peace to the nation. Also, it is easy to understand. If you’ve been keeping track of the recent happenings in Southeast Asia (which I assume you all do! Not. 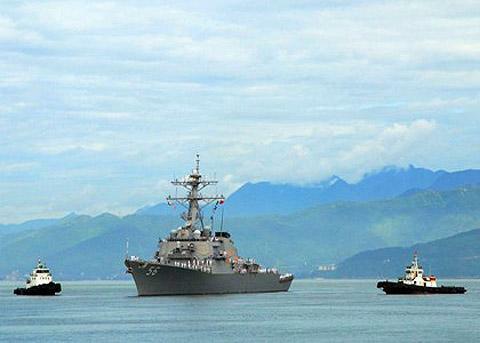 ), you will definitely notice the sudden flourishing of U.S-Vietnamese relations. Why has America become so close to Vietnam lately? One of many reasons is the United States’ national interest in the South China Sea/Southeast Asia Sea. China claims sovereignty over the entire Southeast Asia Sea, without credible historical evidence (see August 4, 2010), which causes problems since the sea is an important international trading route. If China were to successfully take control of the Southeast Asia Sea, the U.S., along with many other countries, would have to go through China in order to conduct trade with each other. This is not favorable for anyone, except China. For this reason, the United States has declared that the Southeast Asia Sea/South China Sea has become part of the country’s national interest. Hopefully by now, the people of America have recognized the expansionist and predatory tendencies of the Beijing government. The Chinese government has taken over Tibet, Xinjiang, and even some bordering regions of India. Now they are trying to take the Paracel and Spratly Islands, lands that belong to Vietnam, although some of Spratly rightfully belongs to the Philippines, with the bigger ambition of controlling the entire Southeast Asia Sea. The U.S. finally recognizes the need to break the silence in the matter regarding the Southeast Asia Sea/South China Sea. As a result, the American military has been conducting joint exercises with the Vietnamese military, signaling their newly established relationship. Maybe in time, with the influence of a favorable ally and the guidance of a capable leader, the people of Vietnam would finally get to enjoy the basic rights and freedoms that we appreciate so much in the west.